Quartz countertops are all the rage! Not only do they add style and sophistication to your home, they stand the test of time in any kitchen and bathroom. Engineered quartz is strong, resilient and non-porous making it stain-resistant and tough on nicks and scratches. It’s easy-to-clean surface means you’ll have less cleaning products laying around the house. And while the quartz countertop is all the rage, it’s not an investment you want to make hastily. Fads are for fashion, not home remodeling! 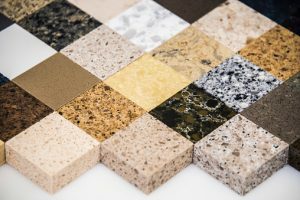 Here are some helpful tips from Lexmar USA on how to pick the best quartz countertop for you home. Building new or renovating? This is a key factor in choosing the right quartz countertop for your home. If you are building new, then you are starting off with a clean slate. Quartz countertops are so attractive they quickly become the focal point in your kitchen or bath. This allows you to build everything up around it – think kitchen cupboards, floors, paint color, or even ceramic tile. However, if you’re simply updating your kitchen or bath, and keeping your current décor the same, you’ll have to be a bit more thorough when choosing a color. Ask for quartz samples to bring home or take paint swatches, a piece of your shower tile or a leftover floor board to your countertop gallery. Take your time and choose wisely. Don’t be trendy! Think of a classic pair of jeans. They never go out of style and they go with everything. Jean jackets, denim overalls, jean skirts, however, are all items that go in and out of style in waves. Think of a quartz countertop like a classic pair of jeans, only more expensive! You wouldn’t want to spend thousands of dollars on a countertop, that one day, may send your kitchen or bathroom back to the past! Make choices that are classic and timeless. Like fashion, interior decorating changes frequently so choose a countertop that will evolve with the thousands of ideas you find on Pinterest! You can update your kitchen cupboard hardware or paint your bathroom for much less money than having to replace a trendy countertop. Don’t cry over spilled…wine! Baking with food coloring? Enjoying a glass of red wine? Cooking with olive oil? It’s hard to keep your kitchen countertops mess-free. If you choose a kitchen countertop on the lighter side of the color spectrum, you will notice spills and crumbs faster. While quartz is stain resistant, it’s not impervious to them. You’ll have an easier time noticing pinot noir on a stark white countertop than a garnet one! On the other hand, toothpaste always finds its way on a bathroom countertop, so choose a darker one for your bathroom vanity and you’ll notice leftover toothpaste and make-up much faster than if it were creamy beige. Deciding on a new quartz countertop doesn’t have to be a tough one. Take your time, think about functionality and consider all your options. Come out to Lexmar USA located in McKeesport, PA and visit our huge selection of whole slabs, countertop remnants and sinks! 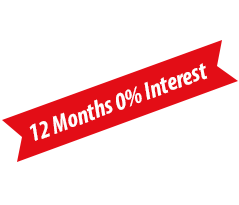 Call us at 412-896-9266 today!